Get together and give back. You and your co-workers can volunteer together. Once the leaves start to change colors and pumpkin spice latte season kicks off, you know the holidays are right around the corner. As your co-workers start planning a holiday party, Jessica from marketing searches for the perfect cookie recipe to defend her title at the annual cookie swap, and everyone figures out their days off, take time to organize community volunteer opportunities for your entire team. Begin the process by getting other managers to participate and motivate the rest of the company to get involved. “If team members see their managers making time for causes important to themselves or the company, they will be encouraged to get involved themselves,” says Chad Wilkins, who has planned volunteering efforts as the president of HSA Bank, a Wisconsin-based bank that focuses on consumer-directed health care. Show Scrooge who's the boss by doing one (or more!) of these volunteer programs as a team this season. But keep in mind that not all of your efforts have to take place during the holidays. In fact, there are a lot of opportunities to give back throughout the year. 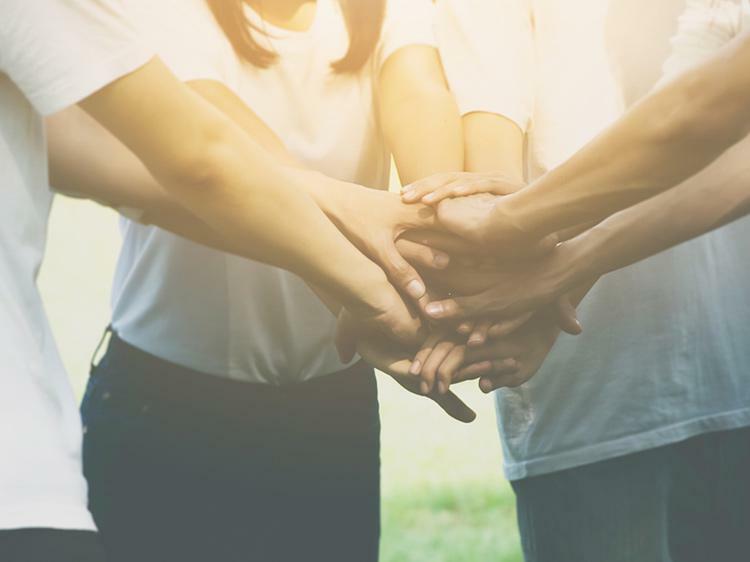 Here are seven ways you and your co-workers can volunteer in your community while also strengthening comradery. Food banks often need help preparing food that will go to local families. Your team can help sort and package food, cook and serve food, or distribute food to community members. You can do even more good by encouraging some friendly competition with other businesses. “We've developed a community competition with other businesses to see who can repack the most poundage in a year,” says Erika Tucci, who, as the community affairs manager at Tacoma Public Utilities, is responsible for employee giving and volunteer programs. She says some employees are local food bank volunteers one Saturday of each month. Local nonprofits are always looking for day-to-day items such as food, hygiene products, clothing, and school supplies year-round. Find out from local charities what items will be most helpful for community members, and share the list and reasoning with your team so they understand the impact they can have on people’s lives. “We ask nonprofits what three to five items they need most, and get specific with our employees about donating those things, and why they're needed,” says Tucci. A small gift can be a big deal for a child who isn’t used to getting something new. “Through the Salvation Army’s Christmas Angel Tree program, our employees sponsor kids and get them gifts to open on Christmas,” says Bret Bonnet, who organizes volunteer opportunities as co-founder and president of promotional products company Quality Logo Products. If you're looking for a non-denominational way to give presents to kids, call local hospitals or other organizations. “Last year, we organized an office drive where employees could bring in new toys, clothes, and books for the Pediatric Oncology Treasure Chest Foundation, a nonprofit that works to improve the lives of kids with cancer,” Bonnet says. Lace up your sneakers and go for a run or walk. There are a number of charity races that you can sign up for as a corporate team. “These events are usually flexible regarding the number of employees you can have on a team, which is a great way to push for high participation and engagement,” says Jasmin Zamora, who organizes volunteering efforts as the program manager for communications and community relations at Combined Insurance in Chicago. Zamora also recommends finding an outdoor gardening project you can do for the day, like cleaning up a park or planting flowers or trees. “This type of hands-on project allows for many volunteers to get together and work as a team to accomplish a goal for the day. Depending on the scope of the activity, this can serve as a real team-building activity to beautify an area in your community,” she says. You can also let the team decide on the causes that mean the most to them. Wilkins suggests giving employees paid time off that’s designated specifically for volunteering. “Offering paid time off and encouraging employees to make a difference in their community is a great benefit that can, in turn, strengthen employee retention, boost morale, and provide leadership opportunities,” he says. There's more to finding a new job than a job description and salary. Determining if your new employer shares your values is a big part of your job search. Want to know where you'd be a good fit? Join Monster today. As a member, you'll get career advice, job search tips, and employer info—including lists of companies that score high for upholding certain values—sent directly to your inbox. Everyone should be able to find gainful employment—and we’re here to help.